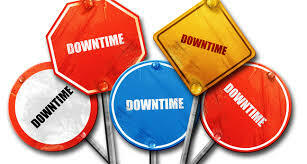 Turnitin will have a 6.5 hour system outage on Sunday morning 23 September from 1:00 am to 7:30 am. Turnitin will use this period to perform proactive emergency maintenance to avoid further unscheduled service interruptions or degradation as experienced on Monday. GradeMark and originality reports will not be available during these times. Originality and GradeMark reports as well as the Turnitin student self-check service will not be available during this period. Students will be able to submit assignment files to Moodle. Uploads will be automatically sent to Turnitin after the outage. Please plan accordingly and contact the IT Support Team on (02) 6773 5000 if you would like to discuss any concerns or seek advice regarding this scheduled maintenance.